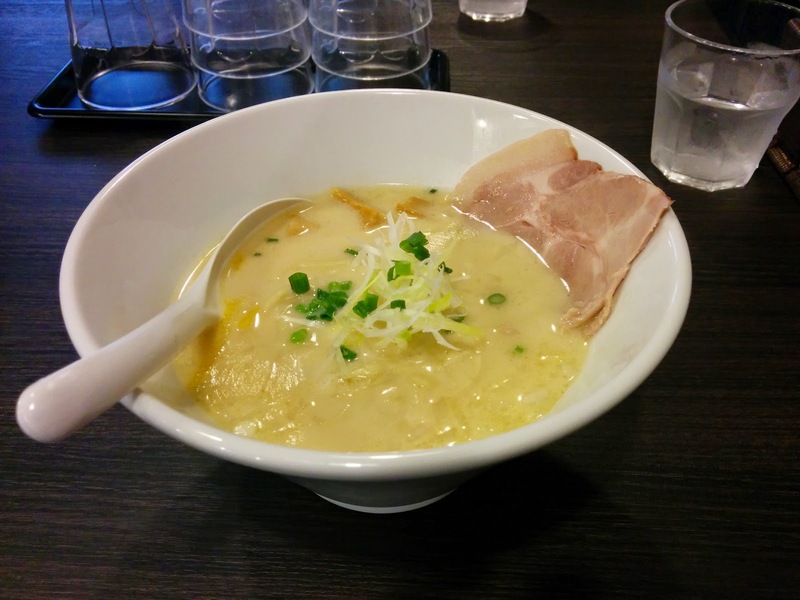 Tenroku is a happening area for restaurants and ramen shops alike. There are new shops opening and closing all the time, and when I'm lucky, they are close enough to my office that I can go to them for lunch. Hashi is one such place, a new tori paitan place just around the corner. I went by to see what they offered. Hashi produced a super creamy chicken soup, more akin to a cream pasta than to a standard bowl of chicken ramen. It was quite similar to another shop I'm a fan of, Bokkoshi. The noodles were long and flat, glued together by the viscous broth. Otherwise in the mixture were menma, onions, bits of yuzu, and a single thin slice of chashu. Yeah, this was close, different, and good. I can't think of a better tori paitan in Tenroku.